The World Rally Championship race Rally Mexico produced one of the most incredible rally endings in years after Kris Meeke got lost in a parking lot on the last stage. But Rally Mexico happened among financial peril this year, per Motorsport.com, due to rising costs in the wake of Donald Trump’s election combined with the withdrawal of Volkswagen as a major sponsor. The big, international series we love to watch rely heavily on being able to move and procure necessary items across international borders. Ahead of Rally Mexico, Trump’s election had a sharp negative impact on the value of the Mexican peso. Mexico has been a favorite target of Trump’s xenophobic ire with all his promises to build a wall, and thus, the peso fell to a record low against the U.S. dollar following his election. The whole Trump story caused the currency to devalue by 40 percent in one week. Most of the things we use [in the rally] come from the US and they suddenly became a lot more expensive. The event was in trouble this year because we lost our main sponsor three months prior to the start; we learned that Volkswagen pulled out when we were on our way to sign the contract with them. With billions in losses from its Dieselgate scandal, Volkswagen couldn’t be lured back to sponsor the rally. Instead, Suberville told Motorsport.com that the Mexican government stepped in to help make it happen. Of course, the rally still didn’t go off without its own problems. 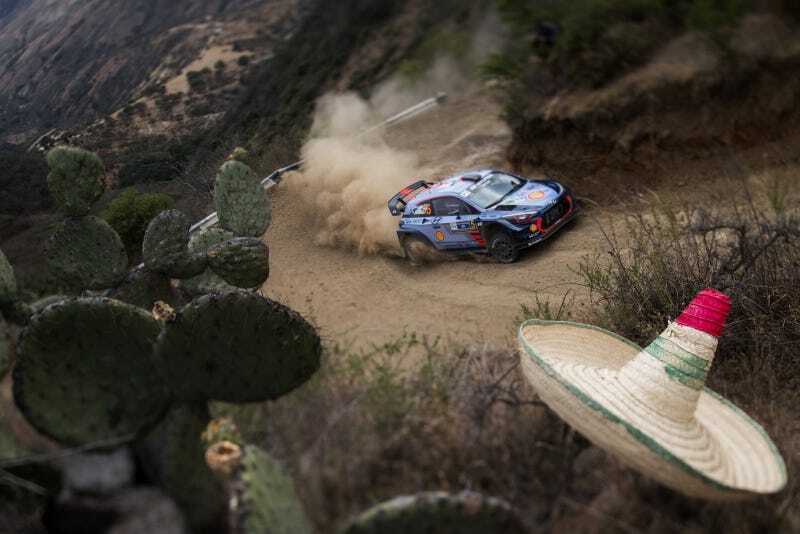 Heavy traffic between the opening evening stage in Mexico City and the rally base 250 miles away in León caused the cancellation of the next two stages when no one’s car arrived on time. According to Motorsport.com, the Mexico City stage was funded by the Mexican government. It was a slick PR move for the rally, as it no doubt put the rally in front of a crowd who probably wouldn’t otherwise get to see it in person. However, its late start time and the complicated logistics of hosting the stage in a city of 22 million people mean that they’ll have to probably rework it for next year, should all of the rally’s organizers and benefactors try that again.